Have you recently had a great experience with Quality Heating & Air, LLC? Let us know by posting a review on our Google page. The winter months are right around the corner, and chances are that you will see an increase in your energy bill during the coldest months of the year. To save money during the chilly winter season, it is a great idea to take a few simple steps to maximize the efficiency of your central heating system. With heating repair from a quality HVAC contractor, you can ensure that your heater is ready to keep you warm, all winter long. A company offering heating repair in Murfreesboro can help you make sure that your home heating system is operating at peak efficiency throughout the winter. Read on for some great ideas to help you lower your energy bill. Your windows can let heat escape from your home during the chilly days of winter. To save money on your energy bills , you may want to install energy-efficient window treatments. Heavier window coverings will insulate your windows, allowing your heater to operate with better efficiency. When your heating system is more efficient, you will save on your heating expenses. Turning down your thermostat is another great way to lower your energy bill. By reducing the temperature of your thermostat by even a few degrees, you can cut back on your overall energy usage. If you are in need of a new thermostat, you may want to ask your HVAC contractor about the possibility of installing a brand new programmable thermostat. Heating repairs from a highly skilled technician will help your system operate at its best. By scheduling annual maintenance for your system, you can make sure that your heater is helping you conserve energy during the cold winter months. With proper heating repairs from a highly rated HVAC maintenance company, you can rest assured that your heater providing your home with efficient and effective heating services. Your HVAC system requires routine maintenance in order to remain in proper operating condition. 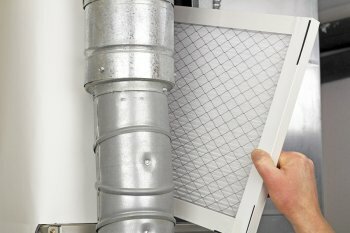 To prevent the need for major repair in the future, you may want to consider setting up an HVAC maintenance plan for your home. Your HVAC company will provide you with a couple different maintenance options. For example, you may want to set up an HVAC maintenance plan that includes affordable monthly payments and free seasonal repairs. In addition, you can request routine reminders that will help you keep on track with your HVAC maintenance needs. A HVAC contractor in Murfreesboro can provide you with all of the residential services that you need, all year long. With a maintenance plan with a qualified contractor, you can feel great knowing that your home will be properly heated and cooled, no matter the season. Be sure to contact your local company to learn more about the HVAC maintenance plan options that are available to you. If your electric bill has been on the rise, there are several ways that you can use less energy and save money on your bills. For example, it is a great idea to get in the habit of turning off all lights and appliances when you leave your home. In addition, you can replace all of your standard light bulbs with compact fluorescent bulbs. You may also want to see if your electric company offers free energy audits. During the winter months, heating repair services can help you save on your bills. With heating repairs from an HVAC company, you can make sure that your heating system is operating at peak efficiency. A company offering furnace repair and heating repair in Murfreesboro can help you reduce your energy consumption this winter. For a closer look at the steps of lowering your energy bill, take a look at this video from Howcast. For more than 17 years, Quality Heating & Air has provided the Murfreesboro area with top quality heating repairs and ductwork installation services. If you are seeking the best HVAC company serving Murfreesboro , look no further than our highly rated company. For three consecutive years, we have been ranked a customer favorite in Rutherford County. We offer all types of heating repairs, and our technicians will work closely with you to diagnose your precise heating repair issue. 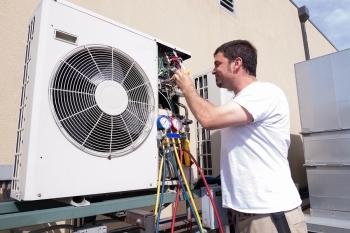 Our technicians are qualified to repair all makes and models of units, including residential and commercial HVAC systems. In addition, we offer 24/7 emergency repair services, so we will be on call to assist you in the event of a heating repair emergency. We have deep roots in the local community, and we will be thrilled to help you with all of your home heating and HVAC needs. Do not hesitate to contact us to schedule your next heating repair appointment.